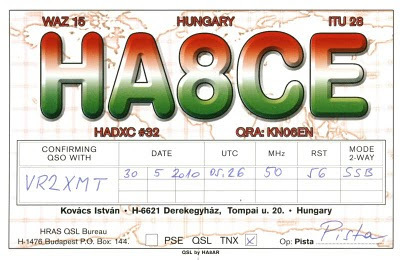 Thank you Pista ( HA8CE ) returned the nice QSL card. # 155 Country on Six Meter confirmed. !!! 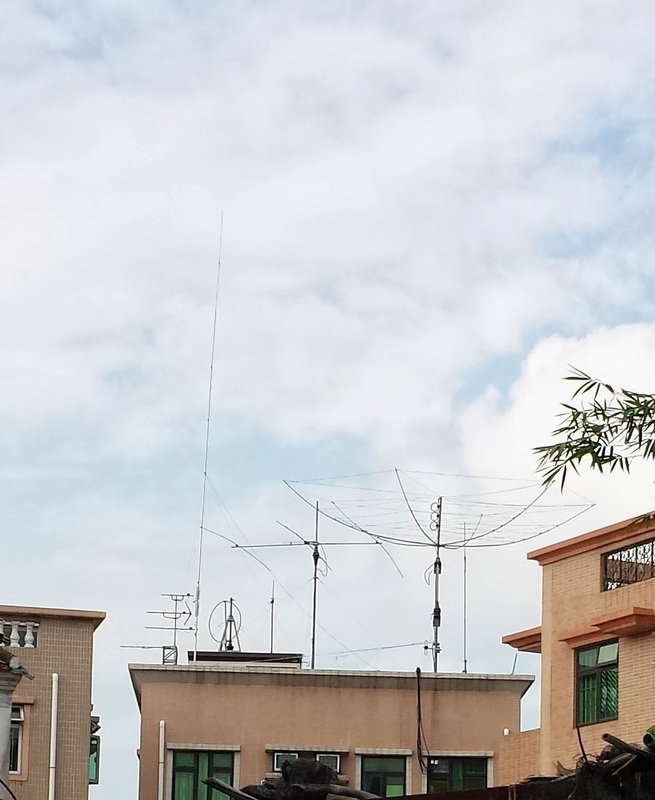 Last evening at 12:10z, worked A92GR on six meter , which is #156 country on the magic band. 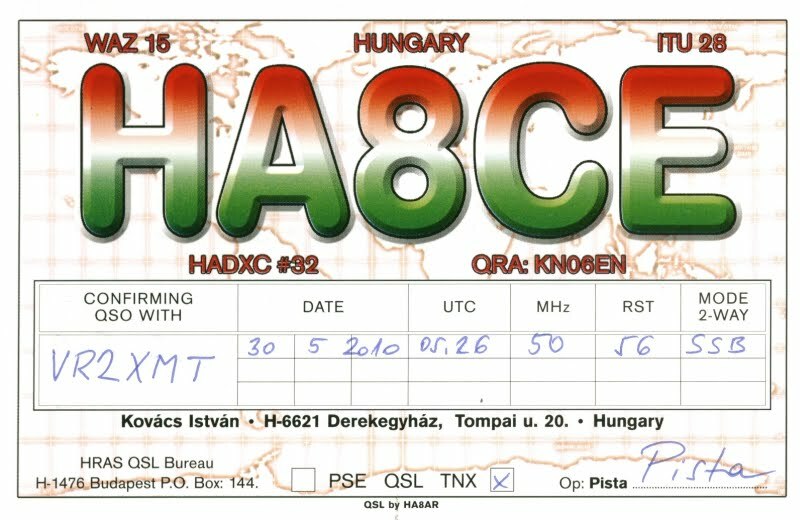 Also, worked EX, SV, 9H, I and UK .. Cycle 24 going well ... should have a lot of fun.